TransDark is a set of dynamic transitions that feature inverted, prismatic, and zoom effects. Seamlessly transition from one video to the next without having to set a single keyframe in Final Cut Pro X. Pick and choose from bleeding, ripping, and blasting transitions to enhance your video production. TransDark features dynamic transitions that momentarily splits the RGB layers of pictures and videos before revealing the following clip. Easily adjust the degree of RGB rip using the prism slider provided under “Effect Controls”. The greater the prism amount, the stronger the ripping effect will be and vice-a-versa. This transition uses the negative effect to invert clips and to create a jarring effect. Combining dark videos with strong contrast and TransDark’s negative blast will create a instances of overexposure. This effect is best used with action shots, dynamic footage, and sports montages. TransDark features camera controls that allow editors to simulate the effect of a shaky camera. Turn up the shake amount to increase the camera rumble to complement stronger prism and zoom blur effects.. With the “new shake” generate button, users can instantly create a unique camera shake with the click of a mouse. TransDark features zoom on-screen controls that allow editors to alter the focal point of the transition effect. Click and drag the control to see a live preview of the change in the Final Cut Pro viewer window. With the “zoom amount” slider, users can adjust the dynamic blurring between video clips. Instantly transform the look and feel of any video production. I installed TransDark and see a red screen similar to this. Where do I find TransDark? Once the installation is complete, you can find TransDark in the FCPX Transitions library. 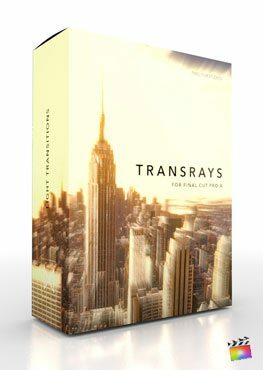 Where is the tutorial for TransDark?